Leveraging the power of trade to expand formal employment opportunities, generate greater value addition, assist diversification processes and develop productive capabilities is an aspiration of all Commonwealth governments. These objectives were conveyed clearly at the Commonwealth Trade Ministers Meeting convened in March 2017. There are areas of mutual interest and where enhanced co-ordination between member countries could enhance trade gains. Because the ability to transmit tacit knowledge through Commonwealth trade, finance and investment networks is inherent in the trade cost advantage shared by members - which exists without formal collaboration - it suggests the sharing of already known best practice could further enhance the gains from more concerted action. In order to engage effectively with contemporary trade, which manifests as global value chains (GVCs), it is incumbent on governments to better understand corporate strategies. The achievement of structural economic transformation within the context of GVC trade entails system-wide approaches, more cognisant of innovation systems, as opposed to more siloed approaches towards sectoral development. Concerted action is required to facilitate interactions between private and public agents, so as to effectively enable societal upgrading processes. In this publication, as well as taking stock of past performance, we reflect on potential dynamics and future fragmentation processes. The chapters collated in this publication provide for a more careful examination of GVCs within which our members specialise at the sectoral level: manufacturing, services and commodity trade, including within the realm of the oceans economy. Given that the overwhelming majority of the 52 Commonwealth member countries are small states, 45 are oceans states and around one-fifth are least developed countries, understanding how dynamics are unfolding at the sectoral level is critical to encouraging more gainful GVC participation. Through a more inductive approach, one that involves learning from experiences across the Commonwealth of existing GVC participation, a clear set of policy measures becomes apparent. These include overcoming barriers to entry, informational asymmetries and unfair competition, and stimulating innovation. Finally, important knowledge and data constraints for small states in the Pacific and Caribbean are highlighted. 6.2 What are international financial centres? 7.2 What are the main risks faced by commodity producers? 8. How Does Participation in International Value Chains Matter to African Farmers? 16.7 The end of industrial policy? If so, what then? 17.3 What upgrading trajectories do we observe? 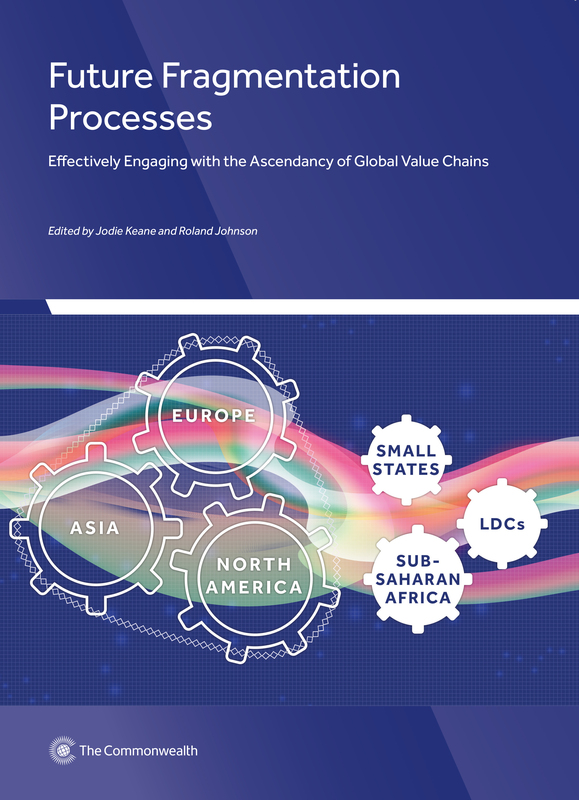 17.4 What factors are likely to influence countries’ engagement in global value chains?